Morinville, Alberta – On the afternoon of Tuesday, October 17, 2017, members of the Morinville RCMP Detachment responded to a report of a deceased individual found in a ditch on a rural road in Sturgeon County. 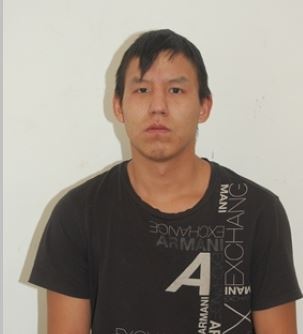 The police investigation to date has confirmed the identity of the deceased man as 27-year-old Kevin Dean Damien Yellowbird of Edmonton. Mr. Yellowbird also had ties to the community of Ma-Me-O Beach, Alberta. The RCMP is treating Mr. Yellowbird’s death as suspicious and has deployed its Major Crimes Unit (MCU) and Forensic Identification Section (FIS) to the scene. An autopsy was conducted yesterday at the Office of the Chief Medical Examiner in Edmonton, the results of which are outstanding pending the completion of tests. The RCMP requests that anyone with information about this case to call the Morinville RCMP Detachment. In the event that callers wish to remain anonymous, they are encouraged to contact Crime Stoppers by phone at 1-800-222-8477 (TIPS), or by internet at www.tipsubmit.com.